What do you think? Sounds like Project Vulcan to you? This panorama of central London is most impressive. The amount of detail is astounding! 360cities.net have more panoramas like this, if not as big. This system worked, but took a lot of time, and required some spare desktops to be setup just to process all those documents. For several years I had been researching products that could help us, and the only one I found that looked really promising was N2PDF from SoftVision in Germany. The only issue was the price, EUR 5,200 ($7,100) per server. We only needed this on one server, and eventually we were able to get approval for this, after I calculated that we would save about 80 hours of work/waiting each month by getting this product. I downloaded the 30 day trial version of N2PDF and tested it, and I was amazed at how easy it was. Just a few lines of code added to my agents and the PDF files were created. The documentation shipped with the product (in PDF format, of course) is good. We purchased the software and I started rewriting a number of agents designed to run using frontend classes on the client to run using backend classes on the server. I created a simple class as a wrapper around the N2PDF functionality I needed. I also added code in that class to print a PDF file directly to a physical printer. I will do a write-up of this here later today. I ran into some issues with the product, though. N2PDF supposedly read the Notes document and convert it into RTF format (according to SoftVision tech support), and items that are invisible in the Notes client (e.g. the space before and after a table) are rendered by N2PDF. Also things like having a small centered table inside a table cell in another table will not work, the centering will not be honored. Therefore I had to modify several forms to produce identical results in N2PDF and in Notes. SoftVision seems to have a very competent tech support, I talked to Marcus there, and he was on the issue, did his investigations and got back to me very quickly when he had to find something out. Disclaimer: Product purchased by work. 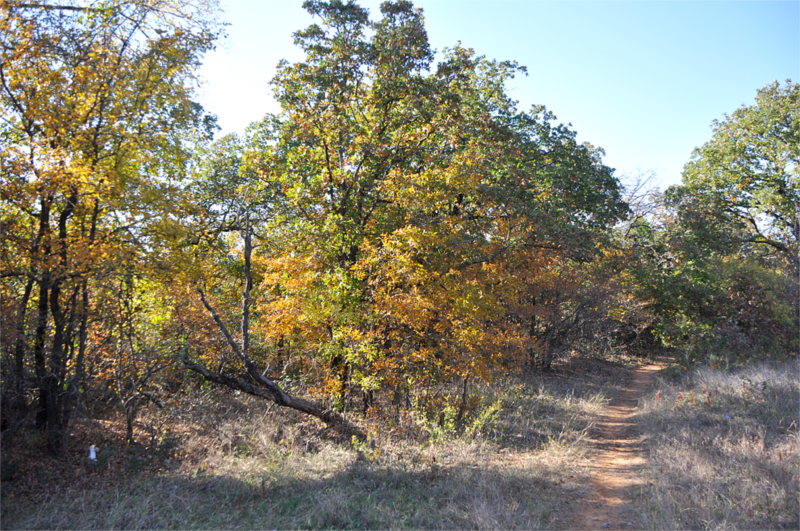 Yesterday I took a walk along a nature trail close to where I live. I brought my camera, and here are a couple of the pictures. 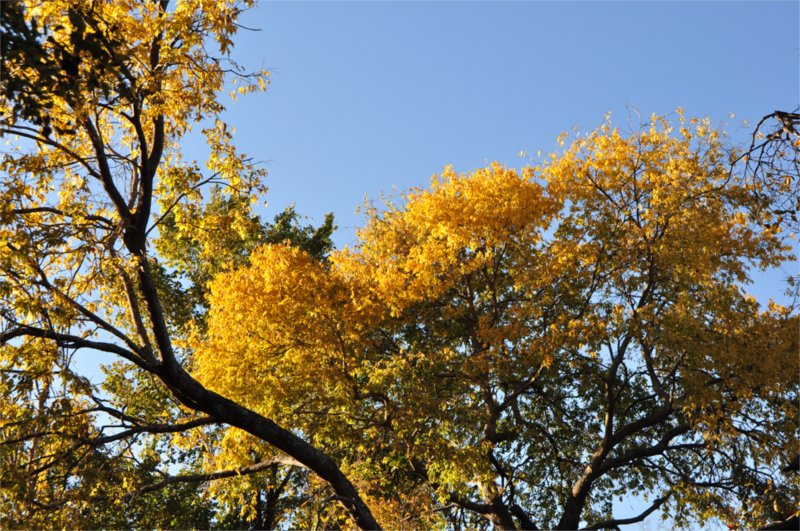 The color as not as great as in New England or in my native Sweden, but it was still nice to see the bright yellow leaves. To make it easy to implement N2PDF in my applications/agents, I created a simple class, which I put in a script library called Class.PDF. Most of the code for teh actual PDF generation was taken straight from the example provided with the product. 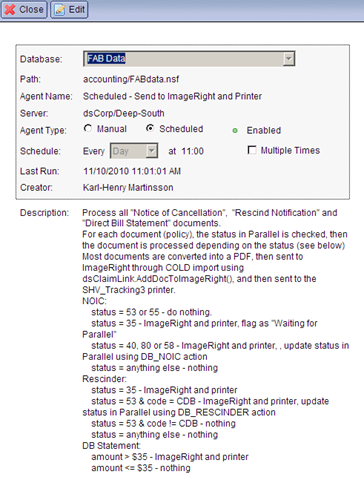 In addition to the actual PDF creation, I also added functions to send the PDF file to a physical printer, and to send the PDF file to our internal document imaging system. I have removed the code for the latter, as it is very specialized code, calling a custom COM object we built, etc. To send the PDF file to the printer, Acrobat Reader 9.0 is installed on the server (or client, depending on where the code is being executed). Due to limitations in AcroRD32.exe (it is not closing after it finish printing), I am using Acrobat Wrapper (AcroWrap.exe) from bioPDF. You may also notice that I check two environment variables, this is to detect if the code is running on a 32-bit or 64-bit version of Windows. I can not take credit for the ShellAndWait() function, I downloaded the code long ago from somewhere. It is used instead of the LotusScript Shell() function, and it will sit and wait until the called program finished executing before it continues. Print #1, "Windows Registry Editor Version 5.00"
' *** Add doc to the PDF we are processing. dirtemp = path & "\bioPDF\Acrobat Wrapper\"
prg = dirtemp & "acrowrap.exe"
' *** File was  not found, we can't print to printer without it. Print "Failed to locate acrowrap.exe (bioPDF Acrobat Wrapper)." Here is a small code snippet showing how to call the class. Enjoy! MsgBox "Successfully printed " & PDFfile & "." Earlier this week, Peter Presnell compared Notes/Domino developers who are not embracing Xpages as being Amish. I don´t agree. Sure, Xpages have been around for about 2 years, but it was not until recently (8.5.2 released back in September) that they were supported in the client and actually useful. 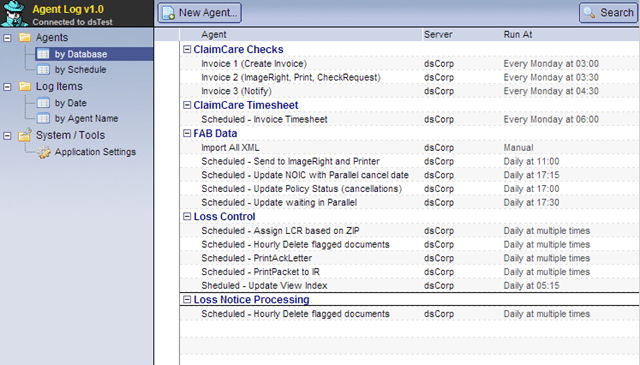 I think that most enterprise customers who are using Notes/Domino actually use the Notes client to a large extent. At least my network admin and CIO want to wait about 4-6 months from a release until even thinking about putting it in production. Especially now with the 8.0 and 8.5 code streams, where we seen all kinds of strange bugs. Code that used to work is suddenly not returning the expected information, etc. My company is currently migrating the last few users off Notes 5.0.12 and onto 7.0.2. Yes, you read it right. It was not until about a year ago I was allowed to install Domino Designer 7.0 and start using any new functionality from that version. All our servers are on 7.0.2 now, and we have one 8.5 server, and that only because of Traveller. I think the plan is to move the servers to 8.5 sometime during the first half of next year, and the users perhaps towards the end of 2011. So why not install 8.5.2 everywhere? Because the standard machine only got 512 MB memory. Two memory slots, with now two 256 MB memory sticks. And they are not going to upgrade the memory on 400 computers. So what we do is migrating all users to Citrix, and then it will be easy to upgrade and run 8.5. But it won’t happen overnight. All our applications are for the Notes client, so until Notes 8.5.2 is installed everywhere, Xpages is not useful to me (at work). I have enough other things to do at work, I don´t have the time to play with Xpages there. I don´t even have Domino Designer 8.5 installed there. At home I have the latest version installed, but I have had limited time to play around and learn Xpages. That does not make me "Domish", as Peter calls it. I focus on technologies I currently can use. I will look at Xpages if I have the spare time, but it is not high priority. "Circus Acts of a Dying Operating System"
Back when I was a journalist for Computer Sweden, I got to interview some very interesting people from the IT industry. One time, I think it was in 1996 around the time Windows NT 4.0 was released, Microsoft had a press meeting at their Stockholm office. We were perhaps 8-10 journalists total who got to meet Jim Allchin, then in charge of the development of NT. After the regular PR fluff, slides and presentations, there was time for questions. I eventually asked about a feature in the the then newly released OS/2 Warp 4.0, namely that you could run virtual DOS sessions in OS/2. I think you could even set different sessions to emulate different versions of DOS (I am old enough to remember when certain programs needed particular DOS versions to work). You could even run Windows 3.0 in a virtual session in OS/2. Did They Make Better Programs In The Past? This morning I blogged about processing a photo to look like a painting, and I mentioned Picture Publisher, a graphics program from Micrografx (later purchased by Corel). 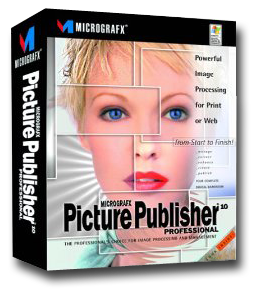 I started using Picture Publisher sometime around 1993-94, and I was using it until a little over a year ago, when I finally switched from Picture Publisher 10 (released in 2001, if I recall correctly) to Photoshop CS2. So why did I use such an old product? Perhaps because Picture Publisher did it´s job, and it did it well. It had all the functions I could ask for at that time, and I could do pretty much anything The program also did use few resources and very little memory, it was fast and also was easy to use. The second "old" program I am using is Cam2PC from NaboCorp. Version 4.6.1 came out in October 2007. It is a very competent program, and as the name indicates, it is used to transfer pictures from a digital camera to the PC. This it is doing better than any other program I found. 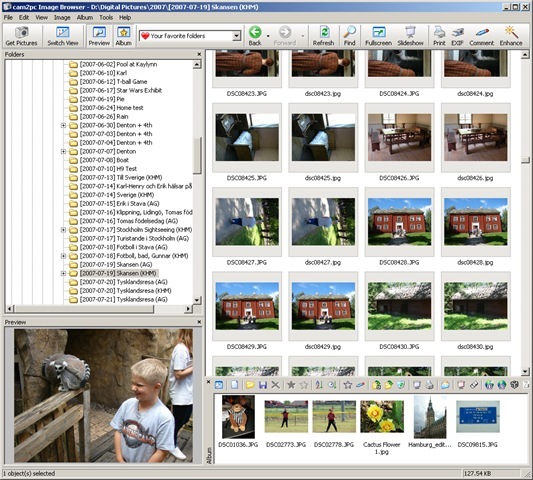 The pictures are organized by date, and during download you can enter a description to be included in the folder name. 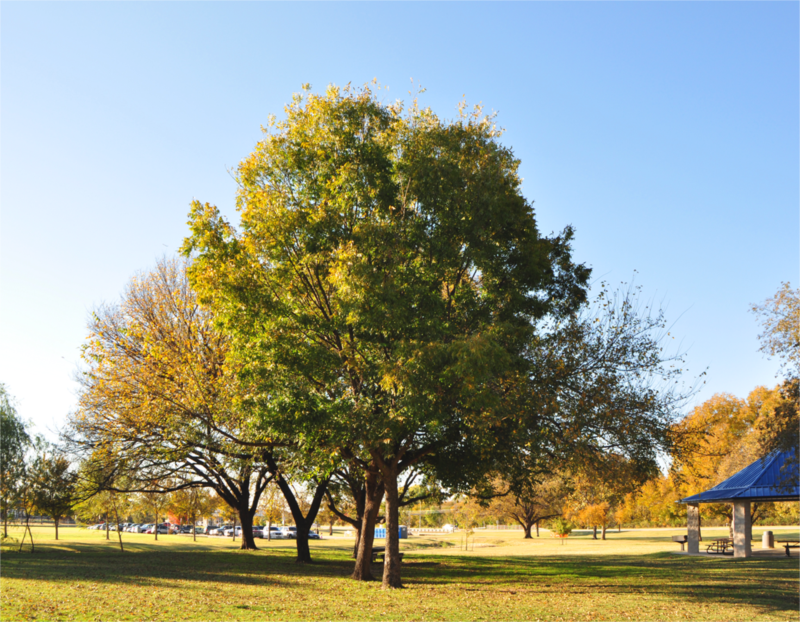 Simple editing is built in, like cropping, sharpening, red-eye removal and levels/color. In the paid version (there is a limited shareware/trial version) you can burn pictures to CD/DVD, provided you have Nero Burning ROM installed, and you can mail pictures directly from the program. Well worth the $20 it cost. I have not found any program to replace it, including Picasa, F-Spotor Shotwell. So did they simply make better programs a few years ago? Perhaps. Or am I just in my comfort zone and don´t want to learn new things? I don´t think so. I love getting new software, but they have to add something. If they have less functionality than an older program, why should I switch? It´s a little bit like the switch from Notes to Exchange. If it is working and doing the job, why switch to a product that have less functionality, just because it is newer? It is not until the current program is lacking functionality that you need you start thinking about switching. In my Notes and Domino applications I have standardized on one icon set. That one is the FamFamFam Silk web icons. They have a muted and nice look that match the Notes client (especially Notes 8.x), and they are free. Go take a look if you haven’t done so already!